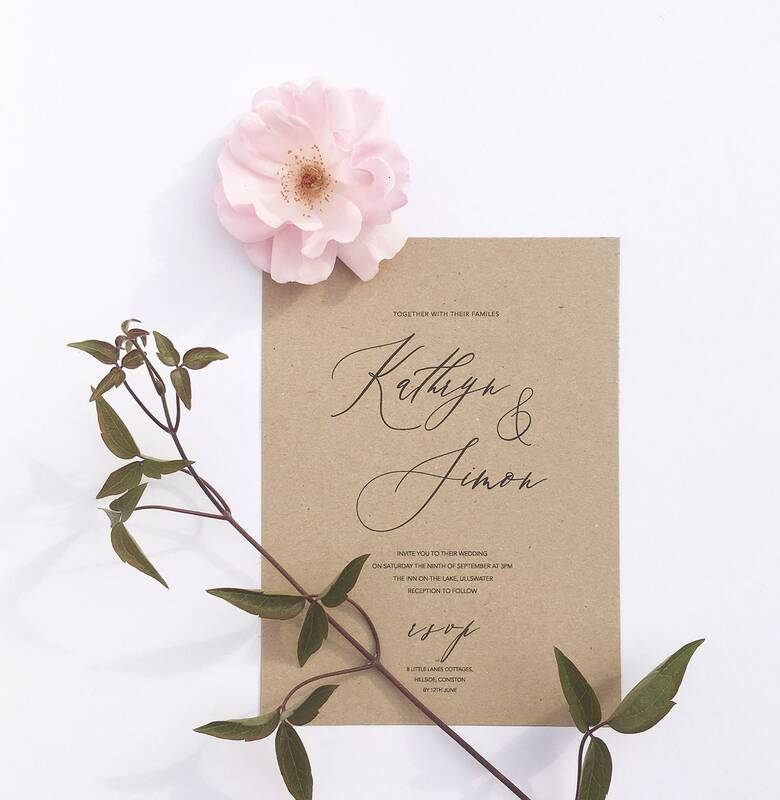 Elegant, affordable and pretty rustic wedding invites with matching stationery, personalised for you. 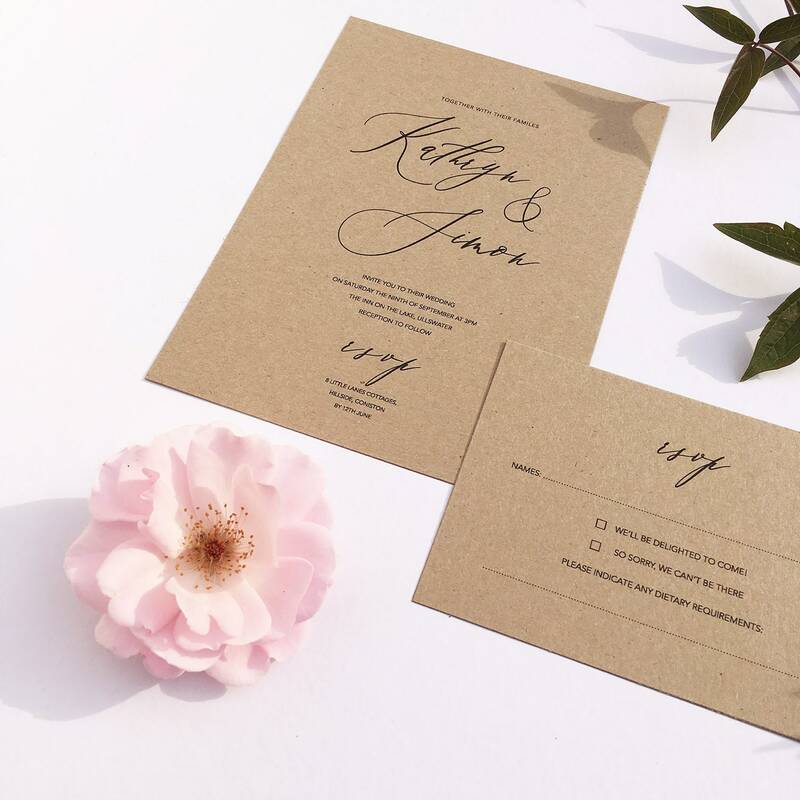 These are designer invites from an independent wedding stationery business based in the UK. 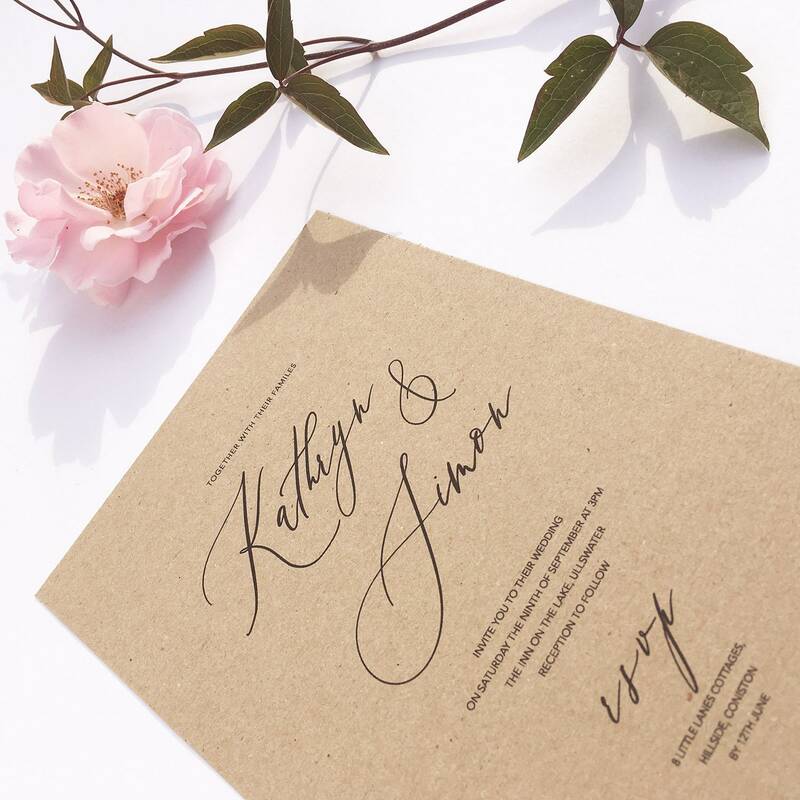 Your guests will adore them, and you can continue the kraft and calligraphy font styling right through to your wedding day with reception stationery to match your invites. 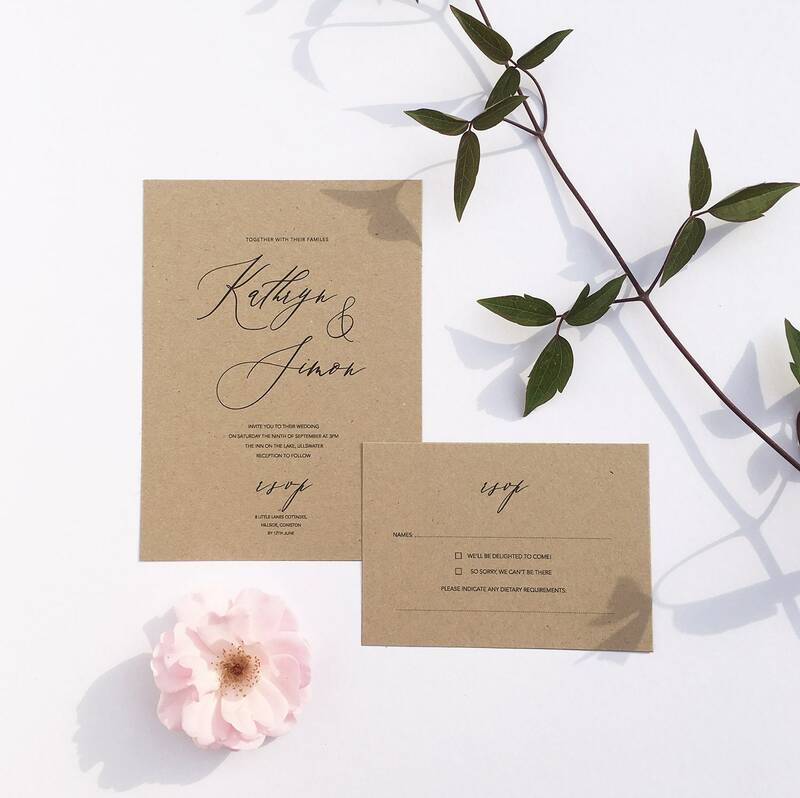 All of your stationery will be professionally printed on a quality recycled kraft card. Save the Dates, invitations and RSVP cards include matching envelopes. Simply select the number of invitations you need - including spares (we recommend at least 5% more than you plan to send at first!) - and send us your details for personalisation using the 'notes to seller' box at the checkout. It's usually sooner - but you won't have to wait very long to see your personalised digital proofs. I'll send those for your approval, and as soon as you're happy with all the spellings, layout and grammar just let me know, so I can begin the printing process. Printing usually takes a week or less. I'll notify you when your (beautifully and carefully packaged!) order is on its way. Our minimum order quantity is 30 invitations.